The Veil. The covering of the body in a modest (often conservative) manner that is often the most highly debated and contested symbol in Islam. As a non-Muslim, I respectfully refrain from passing judgement for or against it and ask that you, the reader, do as well. As it is part of the societal and religious makeup of Morocco, I want this article to describe a reality for some and invite people unfamiliar with the Hijab to observe and learn. But what is implied by that? In the Quran, women AND men are encouraged to dress in a way that is modest, doesn’t attract sexual attention, and places their faith in Allah (God) first before their ego/vanity. Hijab with men isn’t often associated with a specific covering or type of dress. But a traditional and religious man will dress in a way where his sleeves cover his arms to his wrists and his knees and ankles are covered as well. As for females, there are many options, some more commonly used than others. 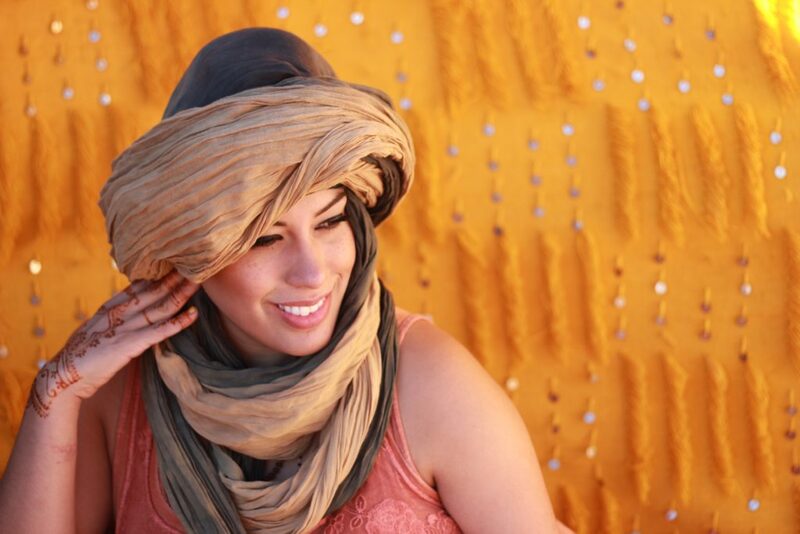 In Morocco, hijab is mainly referred to as a headscarf that covers the hair and neck of the wearer. This is the most visible way of wearing hijab and you can girls and women that will wear this in combination with long dresses, traditional loose garments like an abaya or even with street wear that you’d associate more with the West. The hijabis who are quite fashionable will often sport the more Turkish style of covering, known as the turban. 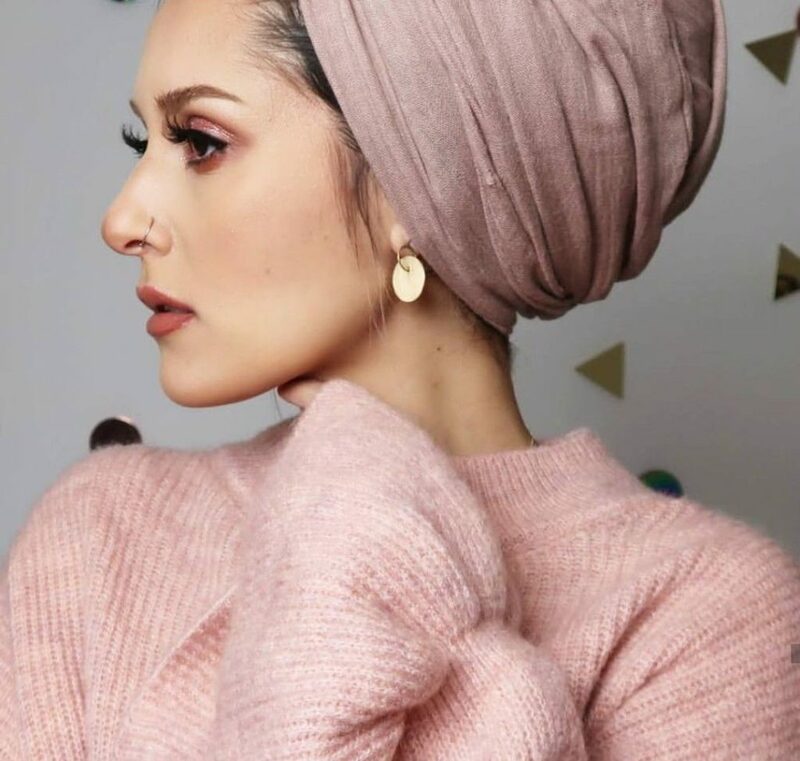 Dina Tokio is a popular English/Egyptian modest fashion Youtuber who often rocks this style and inspires Muslim girls around the world to feel that an outward representation of their religion doesn’t have to mean you can’t express your personal sense of style or love of fashion. On the more conservative styles of covering, in the case of Morocco the most conservative the style the less common it is used. After the hijab/headscarf, it is common to see Moroccan women wearing the khimar, which covers the hair, neck and shoulders. This style I associate more with older women in Southern Morocco in the more rural areas where traditional dress is the norm. The next three styles I have seen sporadically around the country in both the cities and countryside as they are reflective of the more conservative, religious families or individual wearers. 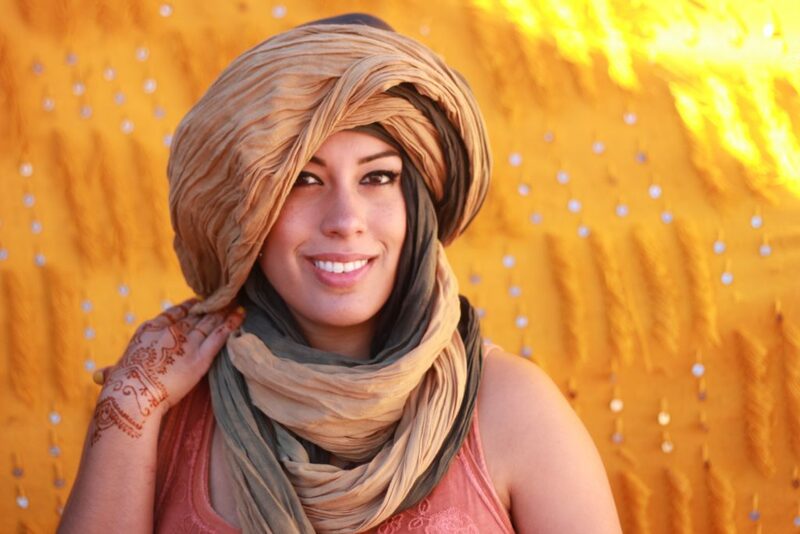 These styles are more commonly used in the Middle East and are not native to Morocco. The Chador, mostly worn in Iran, is a body-length out garment, typically black that covers the shape of the woman who wears it and she must hold it closed to cover herself. Then there is the niqab and the burqa which are often confused and described incorrectly. Most commonly used in extremely conservative countries like Afghanistan and Saudi Arabia, the niqab is the loose garment covering the entire body and face and only shows the space for the eyes. The burka on the other hand is the most conservative form of covering in which from head to toe the body is covered and the women sees through a mesh cloth. It’s important to understand that there are different ways of wearing hijab. While the most obvious reason for the differences is the level of how religious/conservative the wearer is, it’s important to note that the cultural environment of the wearer is often the determining factor in the styles worn. For example, Morocco is typically seen as one of the most liberal countries socially and religiously of the Muslim world. That’s why you can see the entire spectrum of styles there as it’s up to the individual female to decide if one day she wears a headscarf or turban to be out with friends or at school but wants to wear a khimar when she visits family or goes to mosque to pray. You’ll often see variety with how women and girls wrap their scarf around their hair to “dress up” their looks. For example, they will wrap their hair underneath with multiple scarves or tie up their hair in a way that creates the look of having big, voluminous hair underneath the hijab when they go to a wedding or celebration. Before I leave you to continue your journey on understanding the hijab, I want to make sure I leave you with some food for thought inspired by two of my close hijabi friends in Morocco, Warda and Soukaina. Warda, whose name means “rose” in Arabic, is the Communications Manager at the Amal Women’s Training Center in Marrakech, which helps disadvantaged women to empower themselves and their families by developing culinary and business skills. She also has a Masters in Linguistics and Advanced English. 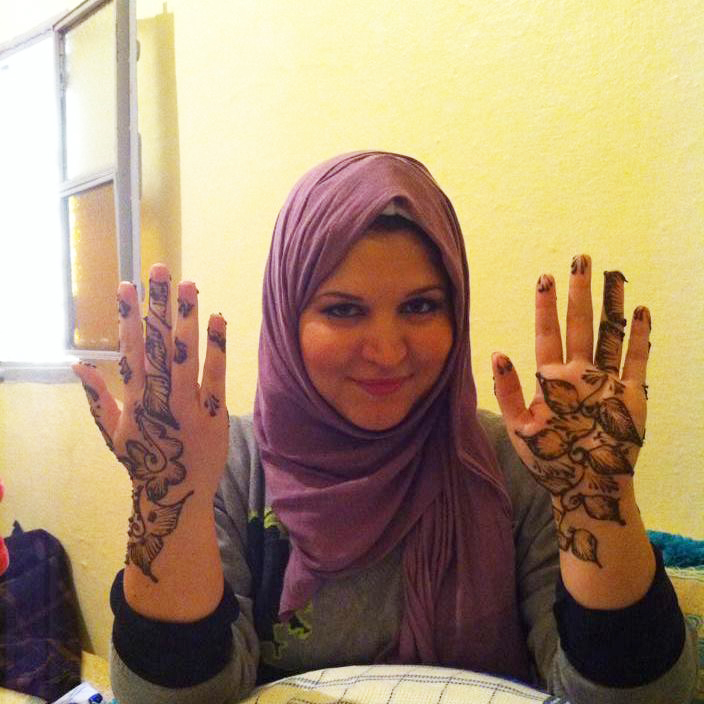 Soukaina is an English teacher with a Masters in Linguistics and Advanced English, Alumna of SUSI on Women’s Leadership at Kansas University, and notably appears in the CNN film, “We Will Rise” as a translator for Project Soar Morocco as Meryl Streep interviewed one of the girls. Both ladies have studied in the U.S. and Italy and spent time traveling extensively through Europe. Warda is originally from the city of Agadir and Soukaina is from Ouarzazate and met during their Masters’ program in Marrakech and became the powerhouse duo I know them to be. These ladies were my most reliable volunteers/teammates when I worked with Project Soar Morocco and are the most badass hijabis I know. They both explained to me that their spiritual and religious identity does not limit how they feel about themselves as empowered young women with strong voices and opinions they share with those around them. So it only made sense for me to reach out to them for feedback on what they wish non-Muslims understood about the hijab. We can take it off when we’re at home and we do have hair underneath that we take care of and have the same hair concerns as a female who doesn’t cover. In our travels abroad, we can’t tell you all the ignorance there is surrounding the hijab. We understand not everyone is used to seeing hijabis outside of Muslim communities and they want to learn more about why we cover. We will engage you if you ask us questions but make sure you’re coming from a respectful place. Questions like “Do you have hair under there?” or “Are you oppressed?” only make people uncomfortable and feel defensive and that’s not the place to start a constructive dialogue. We are people just like you and want to connect. Some of us can be shy but treat us with respect and you’ll see we’re just like anyone else. While some who wear hijab do so because they personally believe in expressing their religion and spirituality physically, it’s not the case for everyone. Some people wear it for cultural purposes, others because their families are more conservative and would not accept them without it. The reality is just because you see a woman/girl with a type of hijab, it doesn’t actually describe how religious she might be. We do care about how we look! Most Hijabis really take interest in finding ways to show their sense of fashion with the way they wear their headscarf with their outfits. 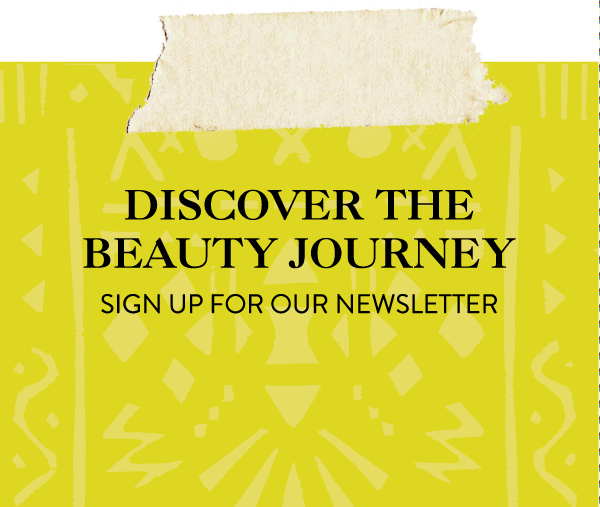 They spend time trying to find cool new ways to use color-coordination and finding layer-able modest clothing that will look fun and chic and show their personal style. Some hijabis also love make-up and use make-up as a platform to enhance their beauty or express their artistic ability while remaining modest in dress. Soukaina said, “People find it weird to meet a Muslim girl traveling alone and being independent.” She explained to me that in the past (and in some strict countries), Muslim women are expected to travel with a guardian. “But this is a new era that demands people to adapt to the new situation.” So have no doubt, Soukaina might be a hijabi but she’s definitely an avid traveler with no intention of stopping. Both women felt strongly that wearing hijab should not stop you from traveling, studying, shaking hands with boys or even hugging them, and generally should make you feel more empowered because you’re standing for what you believe every day because you choose to put on the scarf every day. We hope this brief introduction to the hijab could be helpful and give you a new perspective on the veil as you encounter hijabis both at home and abroad. We encourage you to befriend a Muslim girl or two and see for yourself that the true mystery behind the veil is that regardless of how we cover ourselves underneath it all, human beings are the same. 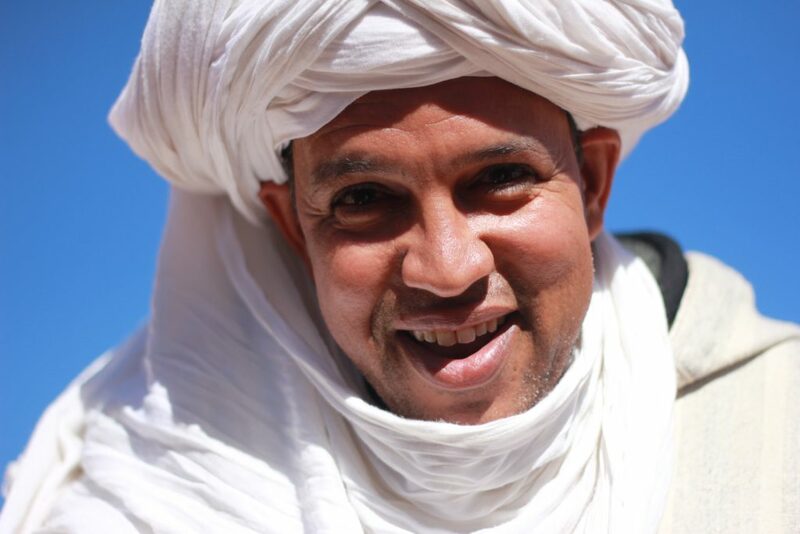 Moroccans are people that experience love, pain, joy, and grief and at the end of the day if we can connect to a person from another culture, religion, part of the world, etc. then we have made the world a slightly better place. Hey there! Its me, Brenda. This is me wearing a very simple hijab style. My host mother put on me after going to the hamma. Its super taboo to go outside with wet hair and well it was freezing so I wasn’t going to disagree.